As I’ve reflected a bit on my blog I noticed that some of my most favorite places to visit I haven’t even written about. 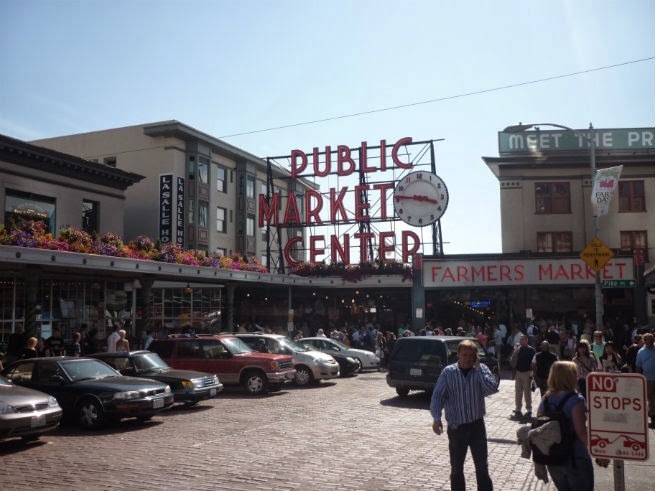 Today I’m going to share about one of those places and it so happens to be the lovely city of Seattle. I love Seattle for so many reasons. About 5 or 6 years ago, my brother moved to Whidbey Island. 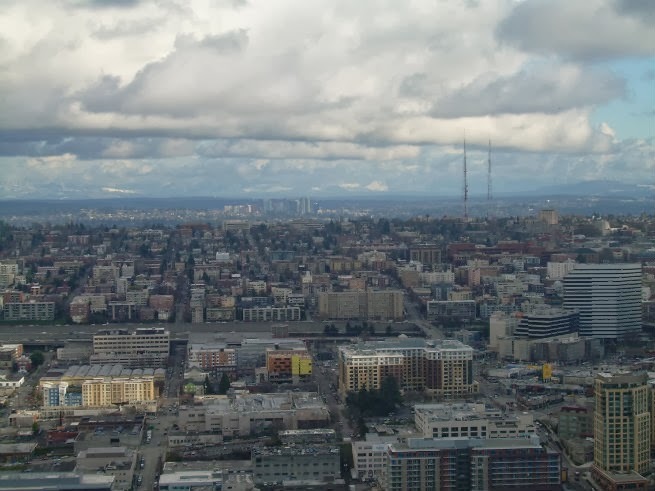 Seattle was the city I would fly into and my brother was the one who initially showed me all around. A lot of times he couldn’t pick me up until evening and I’d spend the day exploring the city and at night we would eat sushi or at some fun eatery in Seattle. I've also taken friends to visit with me, I ran my first marathon there and I've had lots of family trips there. Seattle is pretty easy to get around. If you fly into the airport they now have a light rail from the airport that takes you right to downtown. It only costs about $3 and you get a 30-45 minute train ride of the Pacific NW and through the city before you get downtown. *Each place listed in yellow is linked to the official website. That way if you need more info it's right there. 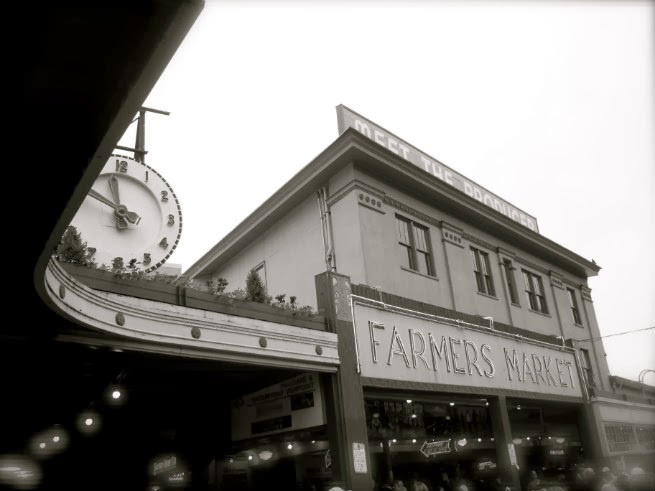 Pike’s Market is a one of a kind, buzzing with energy, place. They are known for the flying fish market where the workers throw fish around. 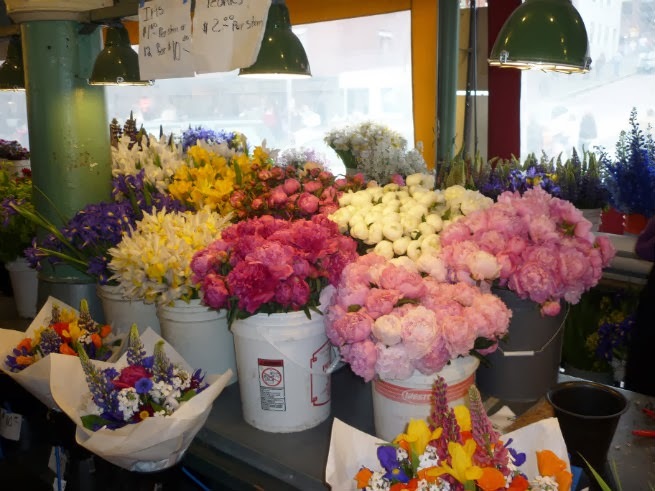 They also have boquets of flowers you can for $10, a lot of local art, seasonal produce from farmers and lots of little stores and restaurants. 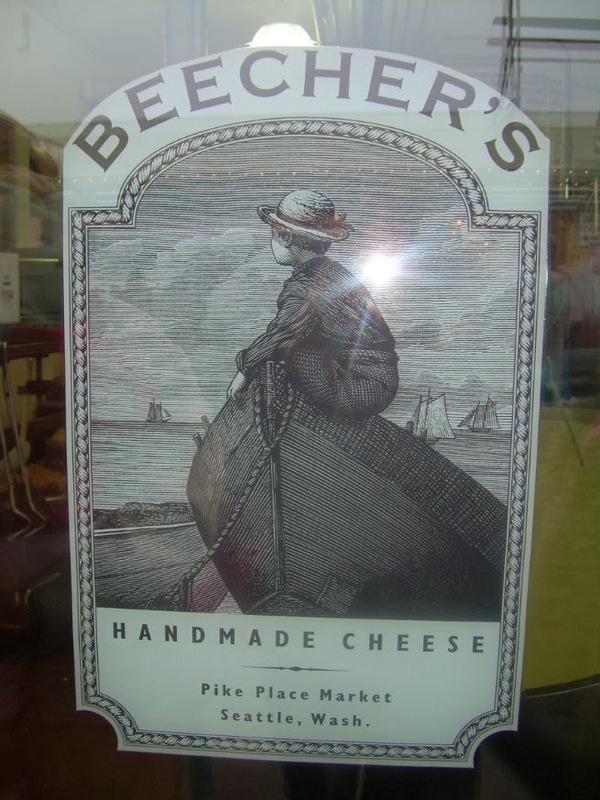 Beecher’s Cheese is located across the street from Pike’s Market. 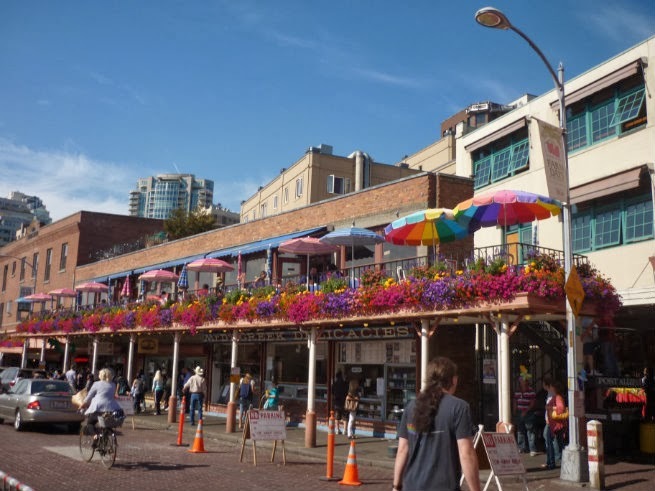 It might even be considered part of Pike’s Market. 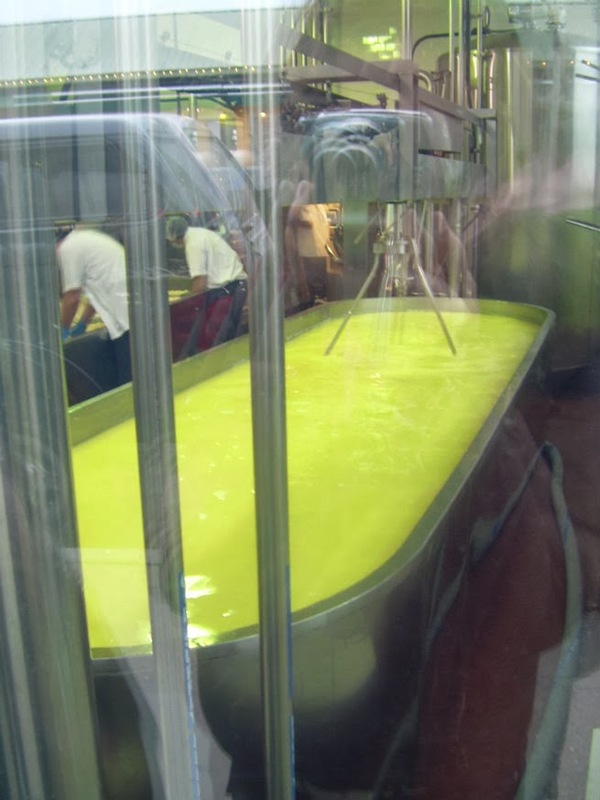 You can watch cheese being made. It’s kind of gross and intriguing at the same time. Then you can buy some cheese. My favorite thing they sell is the Mac and cheese. If you buy one get a small because that mac and cheese is rich and delicious. Plus, your belly will need room for other food spots in the area. Seriouslly! You can’t go to Seattle and not visit the 1st Starbucks. It’s nothing how I pictured it. It’s a small store, is always filled with people, and has standing room only. I think something I love about this place too is the amount of foreigners there. I love seeing all of the cultures come together for a cup of coffee. 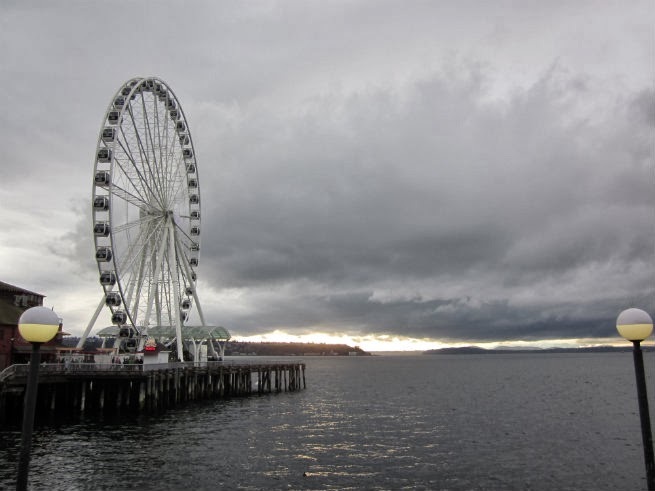 This is a newer attraction to Seattle (2012). It’s right on Puget Bay. 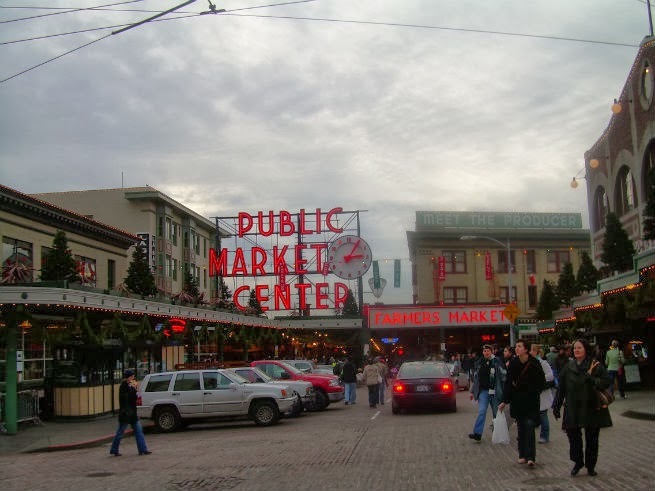 It is located right behind Pike's Market on Pier 57. A ride on the wheel takes you 175ft. 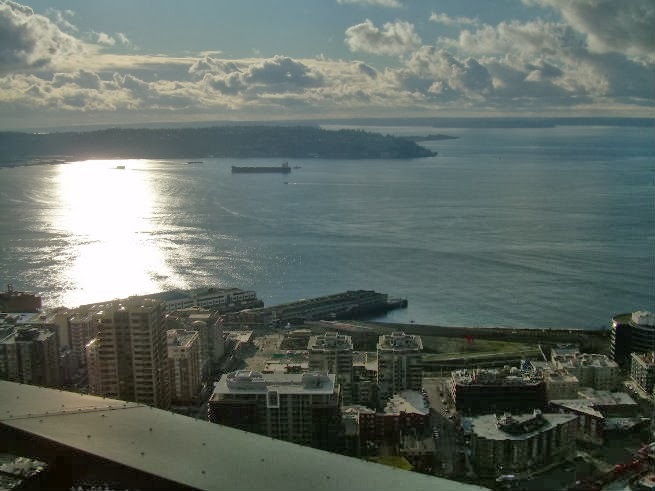 up, extends 40 feet over the pier and gives you beautiful views of Elliot Bay, the Space Needle and downtown Seattle. It's a must see attraction if you are visiting the area! Make sure you go! It’s fabulous. You take a quick elevator ride up and get spectacular views. They also have a rotating restaurant that I highly recommend. If you go at lunch the prices are a better deal too. So, now you have my little recap on Seattle. 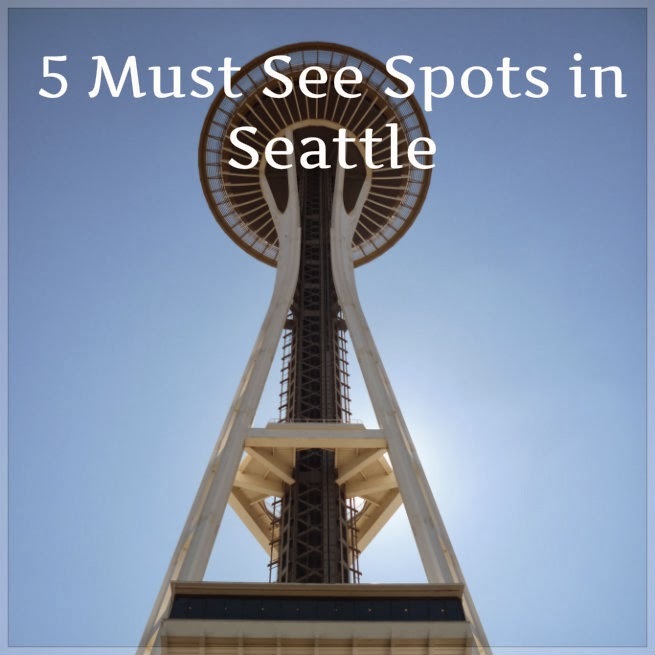 Have you visited Seattle? If so, what were your favorite sites? Are you planning a visit there? 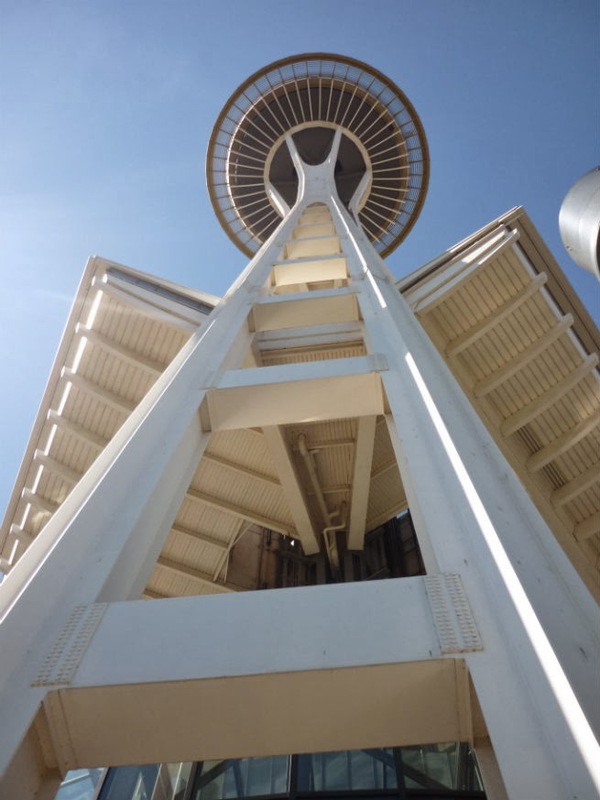 Also, Stay tuned because soon I'll be posting the 5 weirdest sights you must see in Seattle. Trust me, they are weird, and only in Seattle. Linking up with Nicole for the awesome Treat Yo Self Thursday. Today she is also sharing a wonderful list of blog link ups where you can find blogs with similar interests. my beautiful hometown! great recommendations. 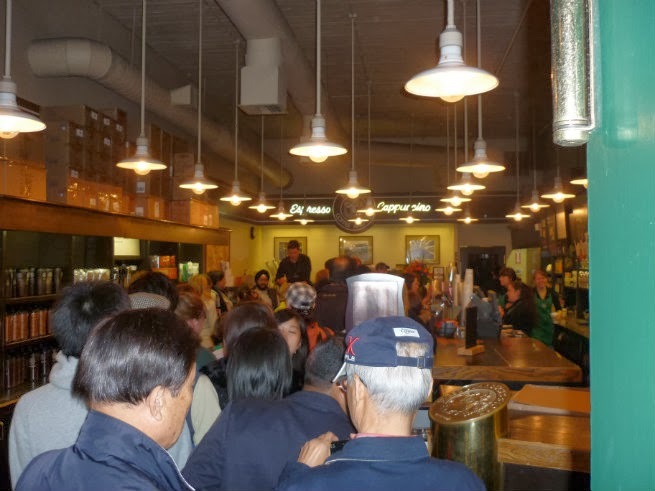 i still have never made it to the first starbucks... the line there is ALWAYS so ridiculous!! one of these days i'll do it...! 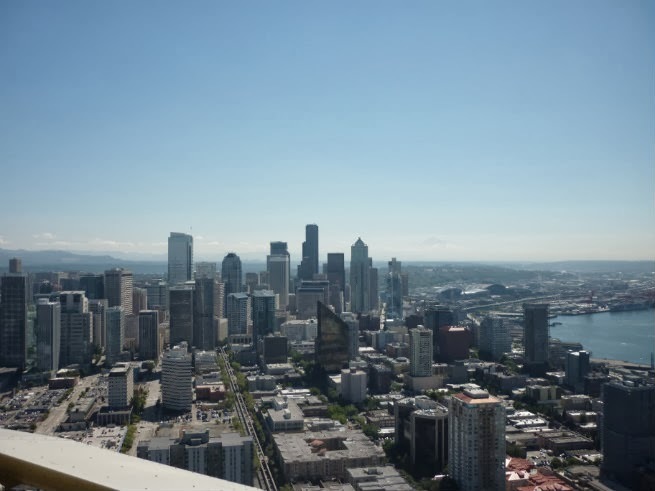 have you ever been to kerry park? that is one of my favorite spots in seattle to take photos. You gotta go. The line is long but I never have waited more then 10-15 minutes. I just watch all the people. I'm not sure if I have been to kerry park or not. I bet I ran through it because i ran my first marathon in Seattle and we ran through some of the most gorgeous parks. That's awesome that Seattle is your hometown. I love that city! 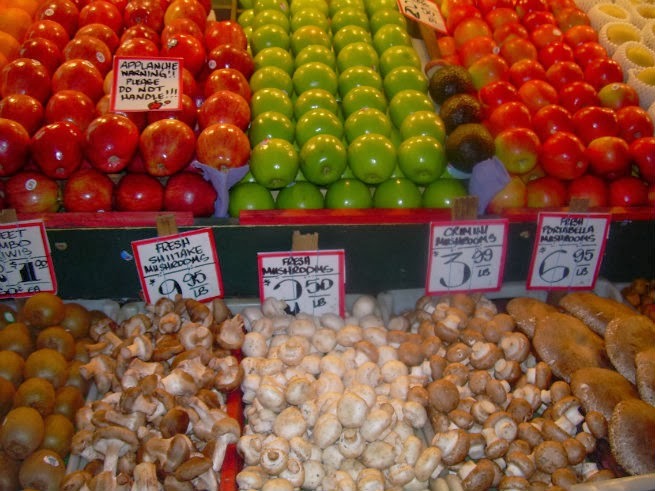 Have you been to Whidbey Island? That's where my brother and his family live. It's so peaceful up there. My grandparents live there so growing up (and now when I can) we made lots of trips up from Portland. 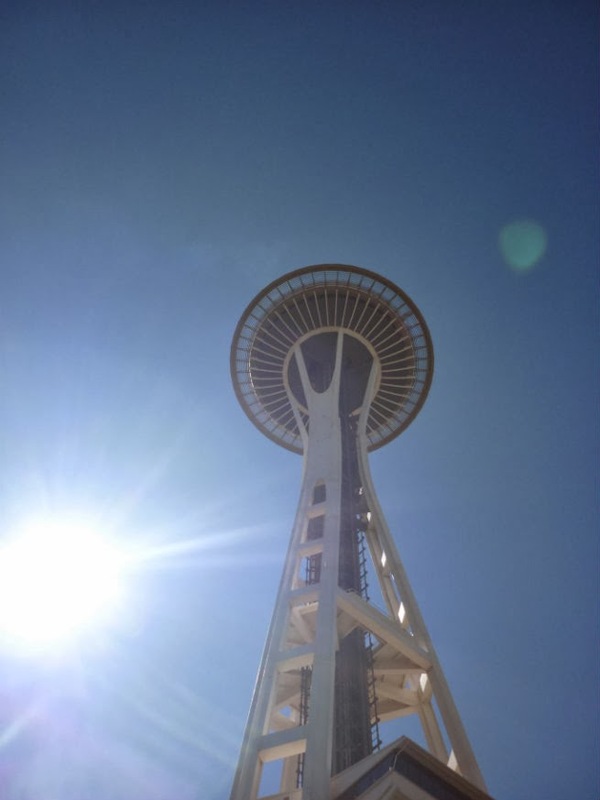 I love Seattle. One of my favorites (maybe because I was a kid?) is the Science Museum at the World Fair grounds. It's super interactive and so much fun! I'm also a HUGE fan of Anthony's Fish House (I think...I know it's Anthony's something) on the sound. The aquarium on the sound is also fun. I have yet to go to the Science Museum. I always go to my favorite spots but I for sure need to venture out. I bet I'll start going to the Science Museum now though because I have a nephew =). I also haven't tried Anthony's Fish House but I will! Your trip sounds really fun. I love taking the ferry to other islands. My brother lives on Whidbey Island and the ferry ride over is so fun and pretty. If you go back for sure check out Beecher's cheese. It's so so good. I am from Eugene, OR and can't believe I have never made it to Seattle expect for the Seattle airport way to many times. These are all things on my list when I finally get to visit! I hear ya. I've been to Seattle so so so many times and have never made my way to Oregon, although I always want to. I hope you get to visit though, I bet you'll love it!